Sunday May 5th from 10 to 12am. Barry New will be leading a workshop on Greenhouse Growing. Everything will be provided using the resource of the School Greenhouse. The focus will be on Soil Improvement and Plant Propagation. Teaching Aids and good links to further your skills in the Garden. Cost for participating $15 and we will have giveaways. 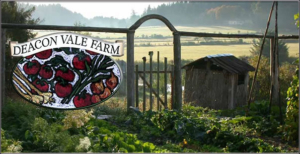 The Food Program is will be making a field trip to Mayne Island to visit Deacon Vale Farm on Wednesday, May 22. This will be an opportunity to see a working model of a certified organic farm that maintains a ‘closed cycle’ – no fertilizers are brought in, no waste is produced that needs to go off-site. We’ll tour the farm, and then stop by their Farm Gate Store for a bit of a shopping trip – they offer their own organic meats and vegetables, as well as their canned goods (such as tomato products) and eggs. We’ll also try to get in a visit to the Japanese garden. Sunday’s work party went very well – we weeded, made squash mounds, sprayed compost tea, and covered paths and borders with cardboard. The garlic looks great, the phacelia is doing well, and we’re keeping our fingers crossed for the rye. If any of you have our potted artichokes, now is the time to divide them and pot them up to a 4″ pot so they have room to breathe. You can start hardening them off and get them outside at this point. We’ll be planting them in June. 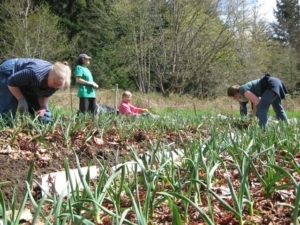 We have quite a bit to do in May: We’ll be harvesting scapes (yay! ), as well as planting squash, making beds for the artichokes, and hopefully digging in the rye. So, the next work party will be from 5:00pm-7:00pm on Thursday, May 23. Please come at whatever time works best for you and plan to stay for at least 90 minutes if you can. As always, please bring any organic material you can contribute: seaweed, compost, nettle stalks, leaves, compost tea, ash, lime, manures, grass clippings, cardboard, newspaper, etc. are all welcome! Next time you’re at GIRR, please say a big Thank You to Lisa, who has been personally delivering our great stash of cardboard to the site. It is interesting how we are swept off of our feet with new ideas. We change perspective, get inspired and attempt to live our lives more in alignment with our belief. Keeping these ideas alive and fresh is when the challenge really begins. Take FOOD SECURITY and SUSTAINABILITY: These are concepts we have batted around for a few years now, yet when the store shelves are full, plus we are pressed for time with jobs, it is hard to sustain interest in these objectives. Last month during an evaluation of Food Program projects, we explored these very topics anew. I was very inspired with the evolution and unfolding of these concepts and am hoping to re-inspire our commitments to our bodies and the Earth through more attention to our food. The obvious directions of GROWING MORE FOOD on island as well as BUYING MORE FOOD FROM OUR REGION’S GROWERS continue to be paths we want to follow. HUNTING AND FORAGING have truly caught the interest of many lately. PRESERVING AND STORAGE of a good harvest is as important as growing it. Other ideas about food security expanded into NUTRITION (is what we are eating actually feeding us? ), SHOPPING SKILLS (do we buy wisely—e.g. dry beans and lentils are relatively cheap considering how much goodness is in them; buying seasonal foods in bulk? 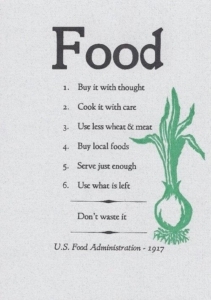 ), WASTE (do we inadvertently throw food out because of lack of planning and skills? ), AWARENESS (do we actually notice what we are eating and why we eat what we do? ), SUSTAINABILITY (was the food we are eating grown in a way that takes into account the surrounding environment and all its creatures, the people who work the fields, the quality of life of livestock; are we planting perennials as well as annuals? ), ACCESS (does everyone in our family, on the island and on the Earth have access to healthy and wholesome food? ), HABITS (do we sit down and celebrate each meal? ), ATTITUDES (do we appreciate the effort that made to make this food, do we take it into our bodies with grati-tude? ), THE GLOBAL PICTURE (what impact do our agricultural practices have on the Earth as a whole as well as on other populations?). This idea of Food Security has really opened up a can of worms!!! It would seem that we have gotten off track in the last few decades, what with huge-scale production of poor quality food. In the past few years many of us have begun to reclaim some territory! 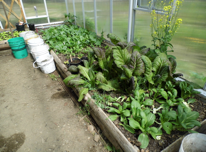 Myself, I need to develop some skill around preserving and sharing what I grow, as well as bring more awareness to my eating habits. No pride, no shame! Just feeling good in body and mind and simply doing the best we can in our homes and community…one day at a time, one season at a time. 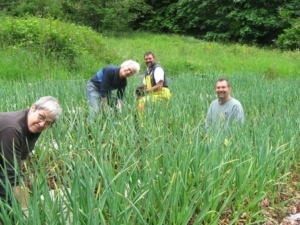 Garlic Co-op – Next Work Party – April 14, at 10:30am. Our next work party is next Sunday, April 14, at 10:30am. We’ll be spraying compost tea on our beds and making squash mounds. We’ll also be weeding, and if we have time we’ll be laying more cardboard and burlap and covering compost piles with corn tarps. This month I have a little homework assignment —a very simple compost tea ‘recipe’ to try. It will only take a few minutes. This 4-minute David Suzuki video shows you how to do it (you can start watching at 1:09). The tea takes 5-7 days to brew and only lasts 1 week so you’ll want to start it sometime this week to have it ready in time for the work party. All you need is cheesecloth, a bucket, and some non-manure compost. I suggest you double the recipe – one for your garden and one for the garlic co-op! Also, some good news about burlap: JJ Bean in Vancouver will give a dozen burlap sacks free to anyone who comes to their corporate office at 1904 Powell St. (enter from Victoria Dr.), 8:00-4:00, Mon-Fri. If you find yourself in Vancouver and able to pick some up, please do! Best to call ahead to make sure they have some on hand – 604.254.0161. Other coffee companies may well have some to spare too.